Pro Ride's freestyle snowboard camps and training programs are the perfect way to push your air and style to the next level. With over 200+ park features over both Whistler and Backcomb Mountains our world class terrain parks have something for all levels. Features range from S-XL and are groomed around the clock by park rangers to provide perfect take off and landings. Freestyle coaching sessions are focused on hitting the park whether it be your first time on a rail to stomping a 540 over a table top jump. 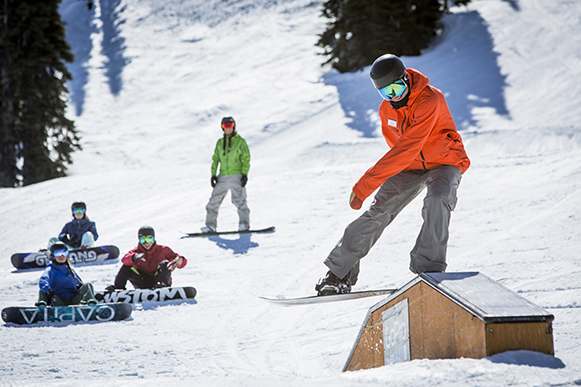 The huge variety of park features include boxes, rails, jibs, table top jumps, spines and half pipe and on a powder day there is nothing like searching for drops and jumps into fresh snow. Our professional and experienced Pro Ride coaches will split campers into group based on current riding and freestyle level to help you achieve your personal riding goals and freestyle confidence. 150+ features with 40+ jumps. 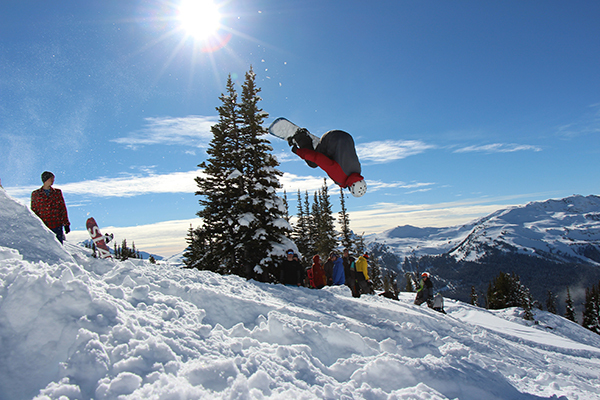 Freestyle snowboard improvement programs ranging from 5 days to 12 weeks with flexible start dates to suit your schedule. For more information on pricing and dates please visit our clinics, camps and course pages. "I wanted to let you know that I had a great week riding with Tim and Duncan. Definitely some great coaching, encouragement and confidence building provided by the guys. I was able to hit bigger jumps and park features that I usually wouldn't do if I was by myself. (Mini Hollywood, U-box, pyramid box, battleship box and even onto the dance floor!)"